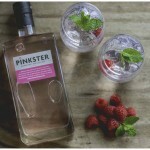 Distilled in small batches, Pinkster is a premium gin that stands out from the pack. We hand-steep fresh, locally grown raspberries in the core spirit at our Cambridge HQ. The gin is deliciously dry, with a hint of fruit and an exceptionally smooth finish. There’s raspberry on the nose as the juniper comes through and then a slight spice that develops and lingers. For a refreshingly different gin and tonic, serve with Fever-Tree, a raspberry and a sprig of well-spanked fresh mint. Best of all, we recycle the inebriated raspberries selling them as Boozy Berries. 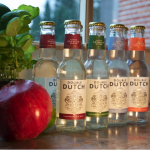 Double Dutch drinks are 100% natural soft drinks that are specifically developed to drink with high-quality spirits. They don’t uses any artificial ingredients or preservatives AND are low in calories. Raised in the Netherlands, Double Dutch’s twin founders, Joyce and Raissa, have always had a natural affinity with superlative drinks – after all, they come from the birthplace of gin! Double Dutch’ recipes are based on food-pairing techniques – resulting in innovative flavour-combinations that complement your spirit like no other. The current range exists of Watermelon & Cucumber, Pomegranate & Basil and two indian tonic waters. Who else agrees with them? Richard Branson who supported the Double Dutch vision by giving the twins a Foodpreneur award for their innovative and disruptive F&B product. Double Dutch revolutionary mixers intensify enjoyment of spirits, or to be drunk solo – double the taste sensation, it’s a whole new world of soft drinks. At last mixers with a difference! 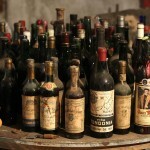 Exquisite Wines Exclusive top quality wines for from the Rioja wine growing region of Spain. EDUARDO GARRIDO BODEGA Garrido’s 500 year old Winery is located in the village of Abalos of La Rioja They have appointed us as sole importer of their naturally produced wines into the UK. Resting at the foot of the Sierra Cantabria mountains at 600 meters above sea level, the region is blessed by winds off the Cantabria Sea that create an ideal microclimate for the grapes. Now in its third generation, still lovingly produces 20,000 litres of wine per year. Supplied only from the UK office to bespoke cellars of Boutique Hotels, Style Wine Bars Restaurants, Boardrooms, Functions and Events, that Special Gift or for your own Personal Cellar. At Hambleden Herbs we only do Organic Teas. 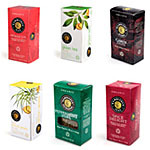 Our teas are made from pure, organic products. There are no additives, colourings or flavour enhancements in any of our product. We offer a range of 25 different teas to tantalise your taste buds. Not sure what to drink? Take a look at our website, where you can see what we recommend to drink and when. With 100% Organic ingredients, you will find nothing hidden in our teas. As well as Teas, Hambleden also have some excellent herbs and spices. See these in the fruit & veg – Herbs – section of this website.